22 March, 2018, Doha, Qatar: An expanding economy, rampant demand for investment, and a resilient real estate sector in Qatar are the driving forces behind a partnership between Qatari-based Elan Group and Cityscape to jointly organise the 7th edition of Cityscape Qatar, the country’s only international real estate event. Taking place from the 23rd until the 25th of April at the Doha Exhibition and Convention Centre, Cityscape Qatar will be held under the patronage of His Excellency Sheikh Abdullah bin Nasser bin Khalifa Al Thani, Prime Minister and Minister of Interior of Qatar. The event aims to connect exhibitors from Kuwait, Oman, Qatar, Turkey, and UK with thousands of receptive real estate investors looking for investment opportunities in Qatar and globally. 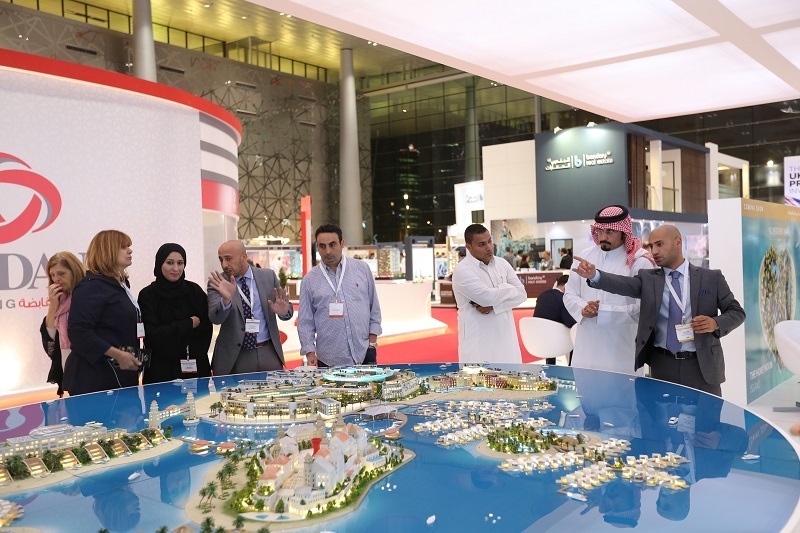 This year, Cityscape Qatar will include more than 10,000 sqm of exhibition space and will include several leading local and international developers, such as: United Developers, UDC, Msheireb Properties, Just Real Estate, Ezdan Holding Group, Al Bandary Real Estate and many more. Last year’s Cityscape Qatar saw a massive uptake in visitor numbers, which revealed the appetite for real estate in the country. Show organisers expect the same vigour from leading developers and visitors this year. Cityscape Qatar offers a plethora of investment choices with high capital growth prospects and a clear regulatory framework, making it a ‘go to’ market for savvy investors looking for secure long-term gains. “Our aim, together with our partner Elan Group, is to not only create a platform for developers to launch new and exciting projects underway in Qatar, but to enable both local and cross-border real estate investment, which has the potential to shape the future of the real estate industry, as well as facilitate a knowledge-based dialogue that tackles the sector’s most pressing needs in today’s economic climate,” say show organisers. Experts remain optimistic regarding the country’s economic future, with the International Monetary Fund revealing that Qatar’s economy is set to grow 3.1% this year, up from 2.5% in 2017. It’s a sentiment echoed by the World Bank as well. According to the international body, large financial buffers and good infrastructure will anchor confidence in the economy. “In the medium term, growth will be supported by rising gas output and continued spending on the 2020 FIFA World Cup,” it says. Looking at real estate, property consultant DTZ says the sector is showing considerable resilience. They maintain that the transaction volume has shown an increase of 8% and 12% in October and November last year respectively, compared to corresponding months in 2016. With confidence in the real estate sector, this year’s Cityscape Qatar will feature a range of exclusive deals and offers on projects from the country and around the world. Developers and real estate experts will be onsite to advise prospective homebuyers and investors, as well as banks, and financial institutions. For more information visit www.cityscapeqatar.com.